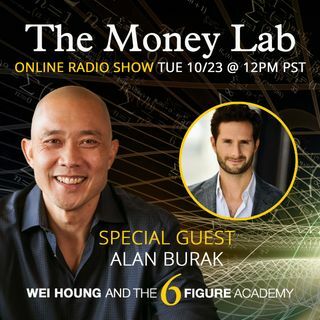 Alan Burak will change your perspective on success. A born entrepreneur who created his first company at age 13, Alan believes true wealth comes from a life rich in experiences. His goal is not only to impart this belief onto his clients, but to make it their reality. His company, Never Alone Capital, helps people achieve financial freedom so they can pursue something money can’t buy: fulfillment. With an open heart, undeterred curiosity, and radical vitality, Alan helps his clients set ... See More strategic goals so they can chase a higher purpose without limits and focus on giving back to the world.